When is the last time you visited Belle Isle? If the answer is more than six months ago, you are due for a trip! The fountain is functional, the attractions are open and the park is buzzing with summer activity. There has never been a better time to check out Detroit’s own Belle Isle Island. The beloved landmark has been a city staple for over a century and remains one of Michigan’s best kept secrets. It features nearly 1,000 acres of island park land, over a two mile spread and presents an array of attractions through all four seasons. Local service teams have been working to clear, brush up, and clean up as much land as possible, so the island can be enjoyed all year long. Belle Isle’s best known monuments like the James Scott Memorial Fountain, Livingstone Memorial Lighthouse and Anna Scripps Whitcomb Conservatory are worth the trek, for amazing photo opportunities and fun. The Deer Encounter at Bell Isle’s Nature Zoo also allows visitors to experience Michigan’s gentle Fallow Deer on an intimate level. If you’re working on your #HealthyMe goals, The Belle Isle Practice Center opened in March for golfers to tee up and practice their driving and putting skills. Detroit’s first 18-hold disc golf course recently opened within the park too. It takes advantage of previously unused forest area, now re-purposed as a disc golf series. The island’s athletic field and field house also retain facilities for softball, baseball, football, soccer, track, racquetball and more. Don’t forget to walk the famous MacArthur Bridge or West Central Bridge to experience historic European architecture styling, or bring bikes along to get a grand tour at your leisure! So whether it’s expanding your mind at the Dossin Great Lakes Museum or expanding your physical prowess on the water, Belle Isle facilitates it all. This fun and functional park is a great place to make memories and spend your summer free time. 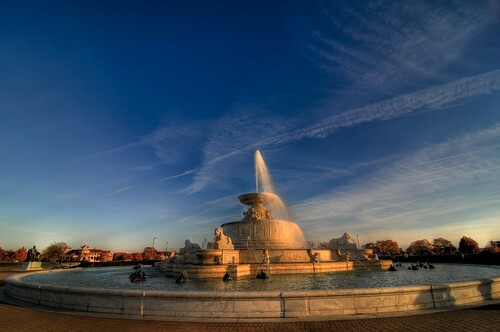 What are your favorite parts of Belle Isle?